According to several websites and newspapers British angler Keith Williams has broken the world record for a Siamese carp. At Gilham's fishing resort in Thailand the 134lb 7oz monster fish was landed. 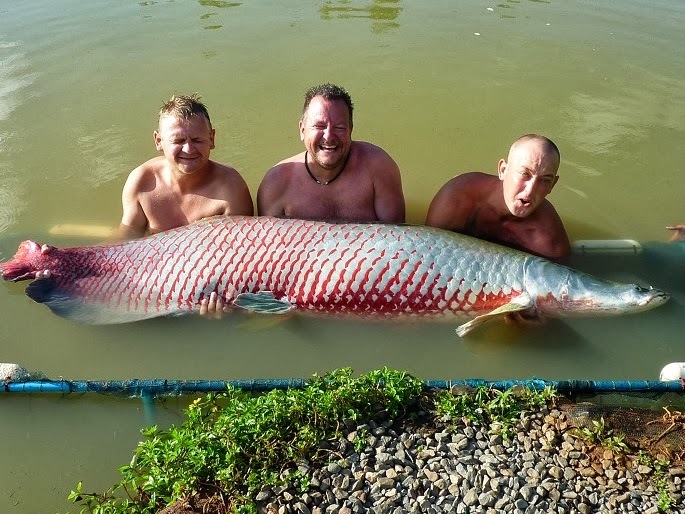 This week the British website of newspaper Metro and The Times reported about the capture of a huge 134lb 7oz (60 kg) Siamese carp by a British angler in Gilham's fishing resort in Thailand. The Siamese carp is believed to be the biggest specimen ever caught, surpassing the former IGFA world record by more than 20lb. 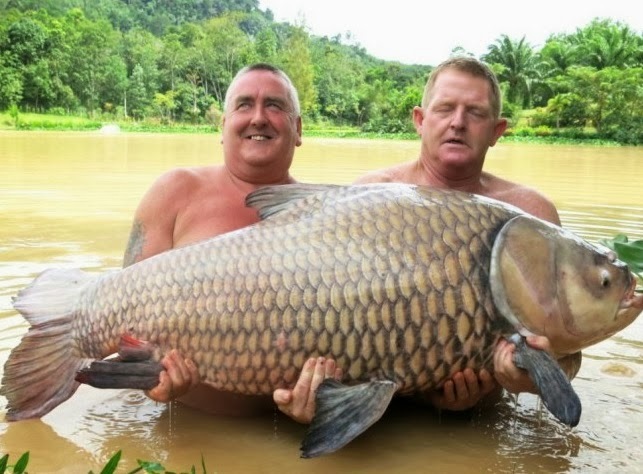 British tourist Keith Williams is pictured below with resort owner Stuart Gillham with the claimed new world record Siamese carp, that has to be officially ratified by the International Game Fish Association (IFGA). The fish was captured at Gillhams freshwater fishing lake located near the town Krabi in Southern Thailand. 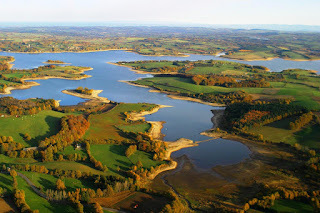 This venue is know for the big number of record fresh water fish species from around the world. At their website Gillhams Fishing Resorts claims to have 48 different big fish species from around the world, with six fish species exceeding 100lb. The lake currently holds no less than 16 IGFA world records, including the world record Mekong catfish at 260lb. Earlier in October Angling Times reported of a gigantic 360lb Arapaima being caught at Gillhams Fishing Resort by Jeremy Smith (see picture below). 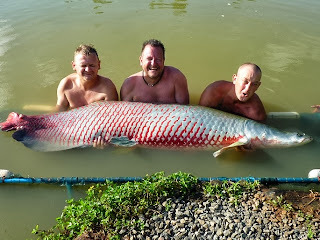 The lake in Thailand holds Arapaima gigas up to 400lb, Chao Phraya catfish of 130lb, Giant freshwater stingray of 200lb, Mekong catfish up to 300lb, Siamese carp up to 160lb and wallago leeri of 110lb, according to the website. According to the World Wildlife Fund (WWF) Siamese carp can reach weights up to 300 kg with a maximum length of 3 meters. The biggest fish are very rare because of consumption of Siamese carp in Asia according to WWF. The European world record carp still stands at 101lb 4oz, captured in Hungary in 2012 by Austrian angler Roman Hanke. In Europe carp anglers only count common carp and mirror carp as world record fish.